Entropy Management Solutions specializes in cable, satellite, broadcast & Internet communications systems & associated content distribution technologies. Thirty years experience, including twenty years in leadership & executive positions (engineering, operations, sales & marketing). Successful track records in engineering, product development, strategy and business development for domestic and international markets. Entropy Management Solutions has twenty-five years corporate experience in industrial and consumer communications. Consulting practice includes expert consulting to the legal community, and technology and business services to the information and entertainment content distribution industries (ratio approximately 25/75%). Entropy Management Solutions has participated in expert and consulting expert assignments on behalf of both plaintiff and defendant. Experienced in patent litigation, including researching, writing and defending expert reports in support of infringement, non-infringement and invalidity. Experience in shareholder and fraud litigation. Extensive deposition experience. Entropy Management Solutions (EMS) was founded in 1999 by Anthony Wechselberger to respond to the broadband, multimedia and networking solutions industry's growing need to address content security and digital rights management in distribution, storage and rendering. 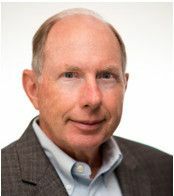 Mr. Wechselberger's expertise stems from more than 30 years of executive leadership in industrial and consumer communications systems and networks. His skills have been honed through hands on participation in business development, technology/R&D management, and technical and strategic marketing in domestic and international markets. Focusing on broadband and Internet systems and networking solutions for content management, distribution, and consumption, EMS provides effective, efficient and on-time answers to your technology needs. EMS is proud of our values and reputation for integrity, and invite inquiries regarding references and satisfied clients. Case details supplied upon request.